Keep your customers up-to-date and informed in real time with SMS Reminders. Reach 7 billion phones worldwide through our website, integrations, or API. Access our network of over 900 carrier connections and send your messages anywhere in the world through our SMS Gateway. Optimize your messaging setup with our advanced features, such as Custom Sender ID and Delivery Information. We work around the clock to deliver your messages as quickly as possible. Our SLA promises 99.95% uptime, and we mean it. Our SmartRouting Engine monitors our system 24/7 to determine when re-routing traffic is necessary to ensure deliverability. MessageBird enables us to easily send, receive and respond to SMS messages. This has positively impacted both our customer experience and our NPS. 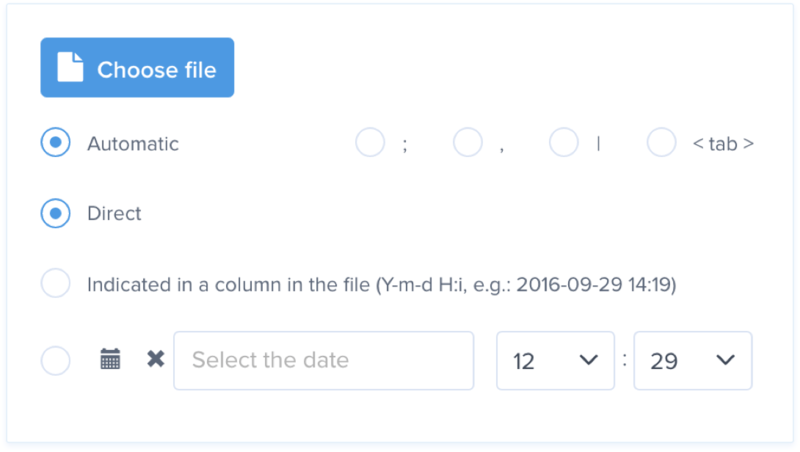 Easily import all your contacts at once by uploading a CSV or text file with their information. 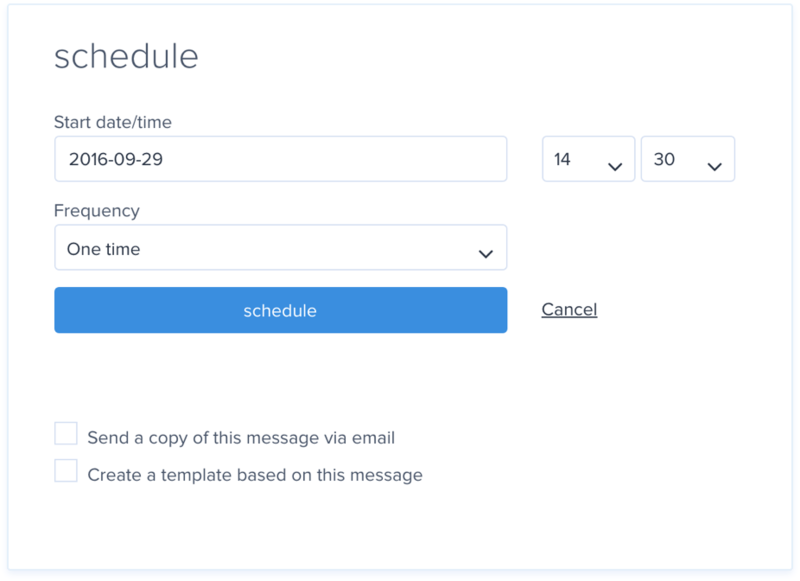 Create your message content and schedule the times you’d like your messages to be sent. Integrate SMS within your website or application using our powerful API and libraries. Get started right away with our pre-built integrations for Zendesk and Smooch. We care about keeping our customers happy, so please reach out to us with your questions, comments and suggestions! No setup fees. No monthly fees. Easy payment by credit card, bank transfer or PayPal.